To say Lisa Morgan wears more than one hat would be a gross understatement. For starters, she teaches a pedagogy course for dance majors at Colorado State University and heads the dance component of an arts-integration program (BRAINY) for local elementary students. She also runs a professional-development seminar for K–12 teachers who want to incorporate movement into their classrooms. And she teaches movement to music therapy students at CSU. Oh, and she was part of a weeklong summer institute last year to expose high-needs high schoolers to college via integrative dance activities. It's tempting to say that Morgan, who has been an adjunct professor throughout her 20-year tenure at CSU, is just someone who goes above and beyond her job description. 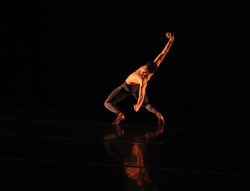 But she avows that it's more about feeling compelled to make her mark in dance education. If that sounds idealistic, it is. "When you're in arts education, you always see the bigger picture—a bigger list of things you want to do and get to," she says. Her bigger picture of late? Working on broadening CSU's dance-degree offerings (currently a BA) to include a BFA, eventually with a concentration in dance education—and teacher licensure. "It's what I'm most passionate about," she says. "It's what I can make the biggest difference in." As CSU works toward offering the new degree—tentatively planned for fall 2020—Morgan is doing all that she can to make the implementation smooth. "We have to ensure that there will be dance programs in the K–12 schools," she says. "To find ways to bring movement into the classroom, we have to work in parallel with these efforts," she says, referring to the K–12 programs she's instituted or helped develop—like BRAINY (BRinging Arts INtegration to Youth). In each of the 8 to 10 sessions of BRAINY that happen over the course of a school year, third-, fourth- and fifth-graders from Title I (high-needs) schools take part in a field trip to the university. CSU teachers and students from dance, music, theater and visual arts decide on an overarching theme and plan 40-minute sessions for their respective disciplines within that theme. With BRAINY, Morgan gets to exercise her love for pedagogy on two levels: for the elementary students who take part in the program, and for the dance majors enrolled in her pedagogy course, who help plan the sessions. "They design lesson plans and present the classes," she says, "and then they're evaluated based on that." For the past four years, with the help of the dance undergrads, she's also headed a professional-development seminar for K–12 teachers called Education in Motion. "They come to campus for a week," she says. 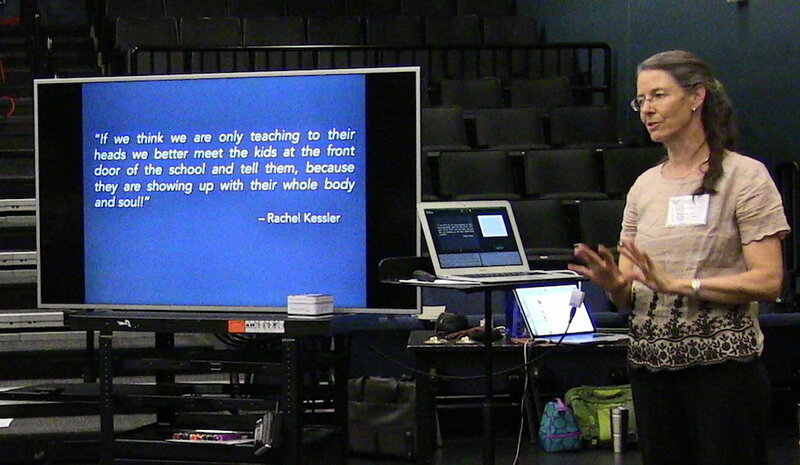 "It focuses on ways to integrate movement into the classroom. We explore everything from teaching across disciplines to mindfulness practices to addressing diversity in the classroom to social and emotional learning tools." Meanwhile, the dance majors get administrative and presentation experience. "We give the teachers a toolbox of goodies and props," Morgan explains, "and it's the students who develop how to use those, and then they demonstrate that to the teachers." To Morgan, the new degree will be more than just a feather in her educator's cap—it's a chance to make a significant difference in the Colorado education sphere. "The landscape is so ready for it," she says. "The students want it, and the Colorado Department of Education is very ready. The dance standards have been in place since 2009. I was on the revision committee, too, in 2017. We're really set up." It's a practical gift, too, for her students. "Even though they have great dreams to go perform, teaching often becomes the bread and butter once they graduate," she says. She remembers the excitement she felt as a young teacher, and she's eager to share that with the CSU undergrads—and to pass on the considerable knowledge she's gleaned. "Really building a relationship with my students is what made me realize this is something I love to do," says Morgan. "When I back up and look at the realm of education—the bigger picture—there's an absolutely integral place for dance in our world these days," she says. "We can provide the tools, the language, the experiences that can fit into all of these different places."